The land down under is vast and the list of things to see and do is HUGE! Whether you come to play at the beach, climb a mountain, explore a city, walk in a rain forest, camp in the bush, or get lost in the outback, Australia is both exciting and unique! 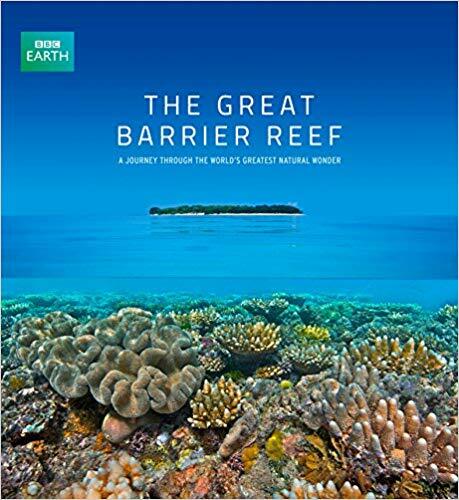 One of the seven wonders of the natural world and one of Australia’s most remarkable natural gifts, the Great Barrier Reef is blessed with the breathtaking beauty of the world’s largest coral reef. The reef contains an abundance of marine life and comprises of over 3000 individual reef systems and coral cays and literally hundreds of picturesque tropical islands with some of the worlds most beautiful sun-soaked, golden beaches. 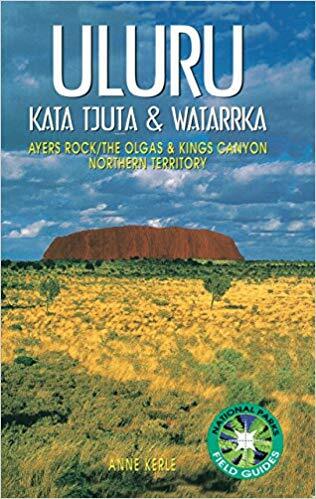 Uluru is a UNESCO World Heritage site and is a large sandstone rock formation in the southern part of the Northern Territory in central Australia. It has a length of 3,4 km, a maximum width of 2 km, it’s 9 km in circumference, and most of its bulk is actually below the ground. The peak rises majestically to a height of over 350 m above the surrounding plain. Uluru is notable for appearing to change colour as the different light strikes it at different times of the day and year, with sunset a particularly remarkable sight when it briefly glows red. Another UNESCO World Heritage site and one of the most recognisable images of the modern world – right up there with the Eiffel Tower and the Empire State Building, and is one of the most photographed and has come to represent ‘Australia’. It is a multi-venue performing arts centre and was conceived and largely built by Danish architect Jørn Utzon, who, in 2003, received the Pritzker Prize, architecture’s highest honour. One of Australia’s most famous drives is a 243-kilometre (151 mi) stretch of road along the south-eastern coast between the Victorian cities of Torquay and Warrnambool. Discover scenic attractions, wildlife and nature. See an amazing array of wildlife, the spectacular 12 Apostles, beautiful beaches, stunning rainforests, waterfalls and more. Starts the Great Barrier Reef a few hours north of Brisbane. It is the largest sand island in the world and a World Heritage Site. You can only arrive on the unspoiled island by eco friendly tours or your own 4WD, as there are no sealed roads. There are limited places to stay on the island so make sure you book in advance. Drive and play on its long white beaches, witness some of the clearest fresh water in the world, trek through its ancient rainforests, and get up close and personal with wild dingoes. Is one of the few World Heritage Sites listed for its cultural and natural values. Kakadu is a place of exceptional beauty and unique biodiversity. Its Aboriginal owners and the Director of National Parks own it jointly. Kakadu experiences 6 seasons and has an abundance of unique wildlife and plant species. Apart from the wetlands there are many beautiful gorges and waterfalls in the park and many people come to visit, not just for this, but to also learn more about the Aboriginal people who have inhabited the area for tens of thousands of years. It is best to visit the park on a guided tour or with your own car. Large saltwater crocs can be found everywhere here so do not ignore the no swimming signs. While in Broome, you can hire a 4WD and explore the beautiful Kimberly region. Your best path is the Gibb River Rd, a 660 km dirt track that runs through the heart of the Kimberly region. Driving along the Gibb will take you through spectacular landscapes of red dirt, boab trees, intensely colored ranges, gorges, rock pools and waterfalls that this region is most known for. The most popular falls and gorges to visit are Windjana Gorge, Galvans Gorge and the most popular Bells Gorge. The Sydney Harbour Bridge is a steel through arch bridge across Sydney Harbour that carries rail, vehicular, bicycle and pedestrian traffic between the Sydney central business district (CBD) and the North Shore. The dramatic view of the bridge, the harbour, and the nearby Sydney Opera House is an iconic image of both Sydney and Australia. The bridge is locally nicknamed “The Coat Hanger” because of its arch-based design. The Bridge Climb is the ultimate experience of Sydney. Choose from three guided Climbs that take you to the summit of this world famous Bridge, 134 metres above Sydney Harbour. Imagine visiting Great Barrier Reef fifty years ago, before tourists came and butchered. Well, you have that opportunity when you visit Ningaloo, one of Australia’s greatest unknown treasures. Exmouth offers you a “range to reef” experience with rugged ranges and gorges on one side and spectacular Ningaloo Reef on the other. Ningaloo is one of those rare places on earth where you can walk from the white sandy beaches straight onto the coral reefs and begin exploring the underwater world -even just by standing in water that reaches your knees you will be surrounded by hundreds of curious fish swimming around your legs. Ningaloo is a great spot for scuba diving or better yet, swimming with the gentle whale sharks. Australia makes great wine and an abundance of it. There are several wine regions around the country you can visit and enjoy. A day trip to the wineries is an experience never to forget. You can usually jump on a tour and spend the day moving from vineyard to vineyard, sampling various wine and delicious cheeses. Most notably are the Hunter Valley, north of Sydney; The Barossa Valley in South Australia; and Margaret River in Western Australia. In the middle of the South Australian desert, with temperatures hitting heights of near 50 degrees Celsius, you might be wondering why I would recommend a visit to this outback town. Coober Pedy produces most of the world’s opals; hence the only reason there is a town there and why it brings its 4,000 residents in from over 40 countries. It is so hot in Coober Pedy that the town’s inhabitants actually live underground. Homes, shops, restaurants and pubs can be found down under in cool sandstone dugouts. Coober Pedy is a fascinating place to visit to learn about its history, drink beer in caves, play golf on a course that has not one blade of grass on it and pick up some precious opals. Broome is situated in the far north coast of Western Australia. It is a haven for backpackers, and pearl farmers. Backpackers run the majority of the shops in this small town and can be found lighting up the bar atmosphere at night. Broome is one of Australia’s most unique towns with its ‘country/outback feel’ right on the ocean. Cable Beach is consistently rated as one of the world’s best beaches, and a day can be spent here playing cricket on the beach, or swimming with crocodiles and jelly fish (do be careful and read the signs) In the evening, catch a sunset cocktail from the Cable Beach resort or even take a casual beach stroll on a camel. You may even decide you want to stay for a while, work on a pearl farm and earn some money to fund your Broome adventure. Poor Tasmania gets largely overlooked by many of Australia’s backpackers and mainland dwellers. Taking the time to come to Tasmania will provide you with an unforgettable traveling experience. The travelers that do make the trek to Tasmania rave about its unspoiled beauty. Tasmania is the Australia’s most mountainous state and has some of the oldest and tallest trees in the world. Tasmania’s Cradle Mountain National Park is a World Heritage listed site and is a fantastic hiking place to explore its beautiful lakes, rainforests, and waterfalls. Karijini is the second largest national park in Western Australia and one of the most spectacular sights in the Pilbara. It has breathtaking gorges, crystal clear rock pools, waterfalls, and stunning scenery. There is a system of excellent walk trails of varying levels which will lead you deep into the subterranean gorges and through waterfalls where you can dive into sparkling rock pools. There are excellent picnic areas as well as allocated camping sites within the park. One of the great benefits of the Park is that its scenery is so accessible. Once you park, you can literally walk 50 metres and peer into canyons to see waterfalls and emerald coloured rock pools. Why not spend some time in Australia learning about the Aboriginal culture? Australian Aboriginal culture is the oldest living civilization on Earth. The Aboriginal people survived for 50,000 years as nomadic dwellers, never suffering from ailments such as the common cold. They lived off the land and know many secrets to the power the Earth holds for health, healing, and spiritual connection. The most untouched area is Arnhem Land in the Northern Territory. You must apply for permits before you arrive, as it is a highly protected area, owned and controlled by the Aboriginal people, and visitations are limited. Australians love a good party. Wherever you are in the country you are bound to find a festival to join in on, especially in the summer months. Some of the most popular festivals being Australia Day that is celebrated on January 26 or my favourite ANZAC Day, which is celebrated on April 25. Make sure you head to your local pub at some stage of the day for a game of Two Up- the only day this gambling game is legal.